Broughton boys did not have any trouble as they dominated Cap 8 Conference golf throughout the year. The Caps finished their usual season with a sense of pride. It was led by Peter Fountain from freshman, and Broughton showed their performance with a 145 shot to beat 2nd place Heritage at Wildwood Green by 15 strokes. The game was completed with a feast of victory in all 8 conference matches in this season. Senior Jumbo Stanley and Junior Patrick Carlin both shot 36 for the Caps. Cannon Jones and Biggs Hawley had a record of 39 each. Anderson Marlowe, the coach of Broughton said that their top 12 players have the ability of defeating anyone in the state. The team is good and always in good spirits to knock each other out. The coach feels proud of their accomplishment till now in this season. Sam Callahan and Chris Craddock were both at 38 for Heritage and it shot the 160 to compete in a good runner up spot. The 3rd position was achieved by Enloe with 167. The 4th position was finished by Leesville Road at 168. David Sykes, the coach of Heritage said that the team was good, although they were slightly below average. They got the best conference and wish to play with Broughton every week. As per him, Broughton are contenders as far as the state championship is concerned and they have got members that would be college golfers. However, the team has an excellent team of high school golfers. 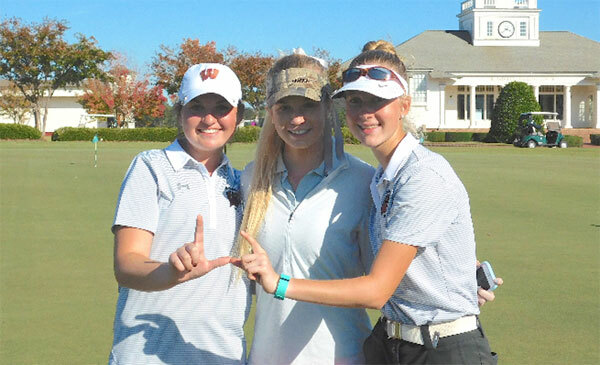 The fifth position was finished by Wake Forest at 174 and was followed in 182 by Wakefield. Host Sanderson finished at 192 while Millbrook finished at 88. The finishing of 3rd place from Enloe did leave the Eagles in 4th place in the season standings behind Leesville and a rare berth was given by Heritage in the 4A Mideast Regional in Clayton on 1st of May.